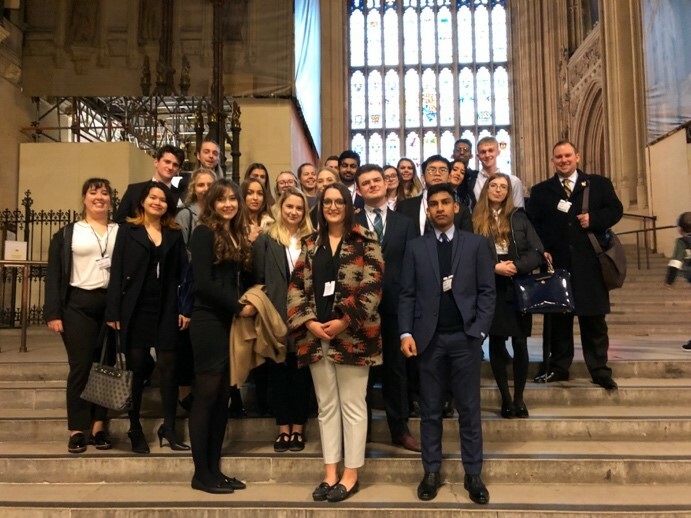 The UWE Law Society reports on its recent trip to visit Parliament, the Supreme Court, and The Inns of Court. 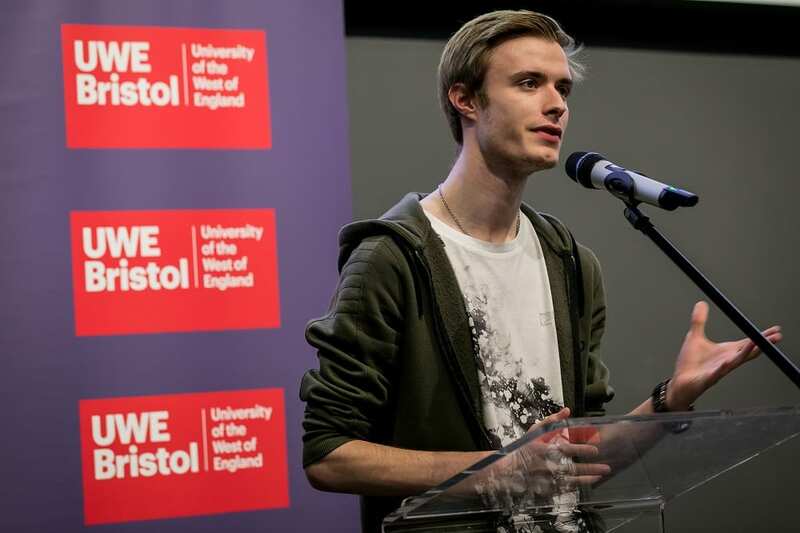 The opinions expressed by the guest writer and those providing comments are theirs alone and do not necessarily reflect the opinions of UWE Bristol. 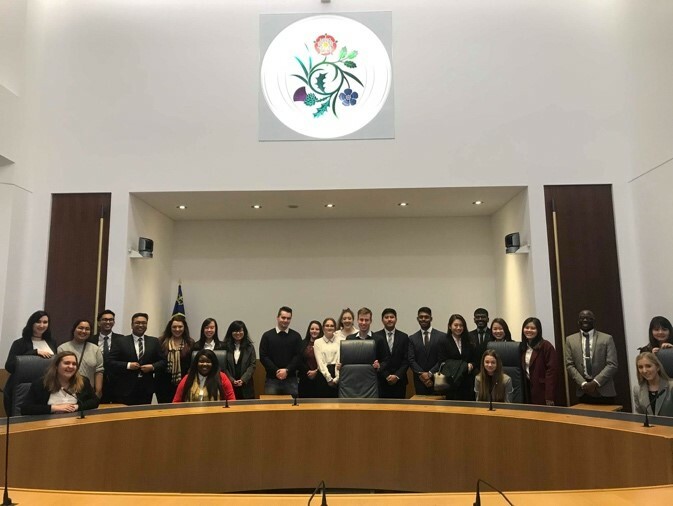 The 18th February began very early in the morning for 50 members of UWE Law Society who had secured places to take part in our London Trip 2019. The aim of the trip was to move 50 members to London to visit Parliament, The UK Supreme Court and attend a talk delivered by Lincoln’s Inn. It had been the intention from the offset that all society members should feel in a position to apply for a ticket, regardless of their personal circumstances, so the price should be free. 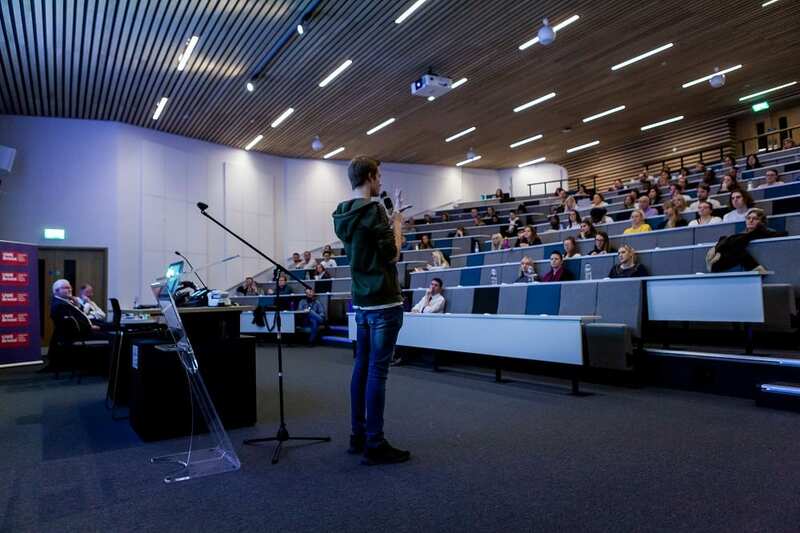 Through applications to both the faculty and student’s union enough funding was secured to pay for the coach move meaning that all were in the same position to apply for a ticket. We left UWE at 0530 to move to Westminster, for a change a very painless journey. Once arriving the trip was split down into two tranches; one detailed to Parliament and one the Supreme Court. Those who toured Westminster had a unique opportunity to gain an understanding of the history of the building, visit both chambers and have explained the full process of how a Bill becomes an Act. With a passionate tour guide this element was enjoyed by all and was an opportunity that many had never experienced, and I am sure that many students would have left feeling they have a confident understanding of our constitution. Tranche 2 began their day visiting the Supreme Court. A newer building in the history of the court system, but still bathed in history from its previous role. The group had the opportunity to explore the building whilst also have its purpose and history explained to them by their tour guide. With some fantastic photo opportunities, members even had the opportunity to sit in the seat of a justice and experience the true feel of the court room. Unfortunately, Parliament were holding an emergency debate in the afternoon so Tranche 2’s tour had to be cancelled. Then a surprise to all when we were notified that Lady Hale, President of the Supreme Court, had heard that UWE students were visiting so was giving up her lunch break to meet with us and run a Q&A session, as I am sure all readers will appreciate this is a fantastic and privileged opportunity. Meeting with Lady Hale was an experience that many students will never experience again, but you could tell that she was more than happy to give up her time to pass her knowledge and experience onto those young minds who have a passion to progress into the legal profession. The final part of the day saw a move to Lincoln’s Inn where we were hosted by Andrew, their outreach Co-Ordinator. Unfortunately, the talk had to be held slightly down the road in their office and conference space as the Inn itself is currently undergoing major renovations, yet still a great environment to visit. Andrew gave a talk to the society members about what the purposes of the four inns of court are, their history and how they play a key part to anyone looking to progress to a career at the bar. He also took the time to discuss the vast range of scholarships available and in doing so demonstrating that there is financial support available to those who need it. Lincoln’s Inn also paid for Sally Anne Blackmore of Ely Place Chambers to come and talk to our members. Sally is a former UWE Alumni and prominent member of the Inn, often involved in the residential and qualifying sessions that are run. As a former Alumni Sally was keen to talk to our members about her non-traditional route to the bar and her vast experiences surrounding the profession. Not only did she inspire members she was also happy to hand out her contact details should members want to seek further guidance. The day ended with the journey back to UWE, getting in at 2230. After a long day I think I can honestly say that every attendee was able to get something special from the day and I have taken the time to thank every element of the trip personally for making it possible. If it wasn’t through keen networking and producing a positive image of UWE Law Society this trip would never have been possible. Dr Liam Fox MP was happy to support our tours, Lady Hale gave up her time and Lincoln’s Inn gladly hosting us at their location is proof that UWE Law Society have built a positive and strong reputation in the last year. We also thank UWE Law Department and the Students Union at UWE for their kind donations, as without them we would not have been able to meet our aim of making this trip open and accessible to all and by doing so we met our equality and diversity targets. Although coming to the end of our term as a committee I am sure that now the ground work has been laid so future committees will be able to offer these fantastic opportunities to their members also. I visited UWE between 4 and 18 December 2018. My home institution, the University of the Western Cape (UWC), in Cape Town, South Africa, granted me funding for a two-week international visit at a university abroad. I am truly grateful for the UWC Deputy Vice-Chancellor’s Research and Innovation Office for giving me the opportunity to visit UWE. In October 2017 I started collaborating with Dr Noëlle Quénivet with a view to writing a journal article. This project turned into a book (Child Soldiers and the Defence of Duress in International Criminal Law) that has been accepted for publication by Palgrave. The manuscript is due to be submitted in March 2019. 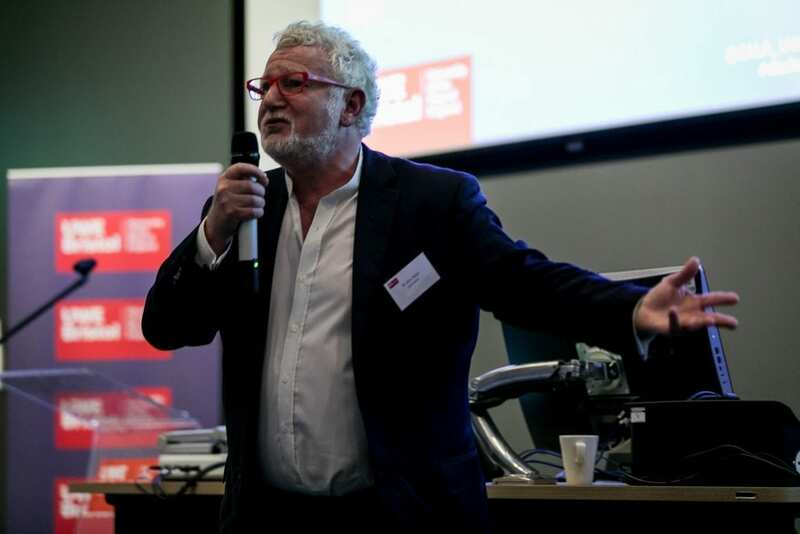 I approached Dr Quénivet in October 2018 and enquired whether UWE would be willing to host me as a visiting scholar. UWE graciously agreed. In my time at UWE I felt part of the Bristol Law School. I was warmly welcomed by Dr Quénivet, Dr Sarah Grabham, the Head of the Department of Law as well as all the academics and students. This made my experience at UWE very fulfilling and rewarding. The initial aim of the two-week visit was to work on the book and to collaborate with some of the academics at UWE. As it turned out, I held two guest lectures and presented my research to UWE academics. In addition, I collaborated with a number of academics with the view to writing journal articles, attended the first annual Criminal Justice Research Unit (CJRU) Lecture and importantly, also discussed the possibility of establishing a new LLM Programme between UWC and UWE. Finally, I also drafted a funding application with Dr Noëlle Quénivet for a potential writing workshop to be held in Cape Town in July 2019. I will be sharing some of the highlights of the activities above. We are in the final stages of writing the book. Most of the chapters are completed. We are still finalising the conclusions and recommendations. Dr Quénivet had a few new books on child soldiers which I had not yet read and so I was able to incorporate some of the views of these authors in our book. Dr Quénivet and I also discussed the footnoting and referencing of the book as well as a follow-up article to be published in 2020. Dr Quénivet, being a leading expert in the field of international law, has been influential in turning the article into a book. I am grateful for her continuous support and guidance throughout the project. I would also like to thank Ms Shilan Shah-Davis and Dr Suwita Hani Randhawa for their invaluable comments when I discussed the book with them. In a first for me, Dr Quénivet and I had the opportunity to present a public lunchtime lecture at the Bristol Central Library. This was a unique experience as we presented the lecture in the reception area of the Library and anyone was welcome to attend. The lecture entitled: “Child soldiers: Busting The Myth of their Victimhood to Better Understand who they are”, centred around the myth that child soldiers are victims only and that they should not be held accountable for their crimes. The audience found it fascinating to note that so many girls are also child soldiers since the perception is that the iconic child soldier is that of a boy. However, in some conflicts, the girls outnumber the boys. The audience, who consisted of about 20 people, had an opportunity to ask questions. I was grateful for this opportunity to discuss our work with the public as this is not an opportunity that comes by too often. At UWE, I was invited by Mrs Evadne Grant to present a guest lecture on the International Law and Institutions module offered on the LLM progamme. The lecture, entitled: “The Fragmentation of International Law: An African Perspective” focused on the fragmentation of international law and how this has resulted in a conflict between African States and the International Criminal Court (ICC). There is no homogenous system of international law as different regulations are applied in different situations, thus a fragmented system. To explain this to the students I used the example of the concept head of state immunity within the context of Africa. The incumbent President of Sudan, Omar Al-Bashir, is wanted by the ICC for the commission of war crimes and genocide. He attended the African Union Summit in South Africa in 2015. During the Summit a South African Court issued an arrest warrant for his arrest. However, he was able to return safely to Sudan and is still wanted by the ICC. As a result, the ICC ruled that South Africa had a duty under the ICC Statute to arrest Al-Bashir. This was affirmed by the Supreme Court of Appeal in South Africa. In the case of head of state immunity, there are various regulations that could be applied in this case hence alluding to the fragmentation of international law. After presenting the lecture, the students had an opportunity to discuss several question posed to them by Mrs Grant. This included whether fragmentation should be regarded as a positive or negative aspect of international law. The students provided constructive feedback on the questions. In South Africa we are not used to this style of interactive lectures, even at LLM level. This was a refreshing experience for me and something that I will be considering at my institution as well. I was also given the opportunity to present my research at the final Criminal Justice Research Unit/International Law and Human Rights Unit end of semester talk. My research article entitled “The Protection of the Identities of Minors upon Reaching the Age of Majority: Centre for Child Law and Others v Media 24 Limited and Others (871/2017)  ZASCA 140 (28 September 2018)” dealt with the Supreme Court of Appeal’s judgment concerning the ongoing protection of the identities of minors involved in criminal proceedings. The identity of child witnesses, victims and perpetrators when they reach the age of 18 is not protected and it is argued that this could have a damaging effect on the development of the child, depending on whether the case receives wide publicity or not. I received valuable feedback from Dr Tom Smith and Mr Ed Johnston. I was invited by Dr Smith and Mr Johnston to attend the first annual CJRU lecture which dealt with the disclosure of evidence by the police in the Liam Allan case. It was a fascinating experience for me as this was the first time for myself, and many others, where we could hear the experiences of a former accused, his defence lawyer and the state prosecutor all in one lecture. It was clear from the speakers that the current situation in the UK needs proper reform, and hopefully initiatives such as those of the CJRU will encourage policy change. This event also inspired me to ask questions about the South African law regarding the disclosure of evidence and what lessons could be learned from the UK criminal justice system. Regarding collaboration, Mrs Grant and I talked about the idea of creating a joint LLM between UWC and UWE in the future. We exchanged ideas and will be looking at funding opportunities to launch a new LLM between our institutions. Lastly, Dr Quénivet and I embarked on a funding proposal to be submitted to the British Academy which would enable us to hold a writing workshop in Cape Town in July 2019. This workshop will potentially bring together leading international journal editors, UK based scholars and young and emerging African PhD students/scholars and give the emerging PhD students/scholars the opportunity to present an article to the specialist panel and receive constructive feedback on how to publish in international journals. The workshop aims not only to remedy the lack of quality publications by African scholars but also to support them more generally in their career. In sum, my visit at UWE was an unforgettable experience which has left a lasting impact on my own emerging research profile and my development as a scholar in the field of international criminal law. I hope to see you again in the future! 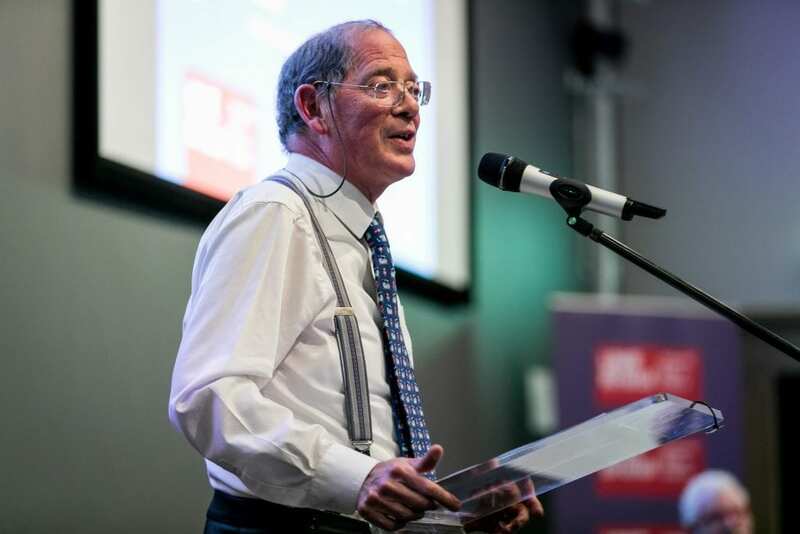 A Bristol Law School graduate has been named Human Rights Lawyer of the Year by the Law Society, the representative body for solicitors in England and Wales. Ravi Naik was awarded the accolade for work as a leading lawyer representing a client on the Cambridge Analytica case. After receiving the award Naik, who is partner at Irvine Thanvi Natas Solicitors, said: “Receiving this recognition is fantastic and something I never expected. 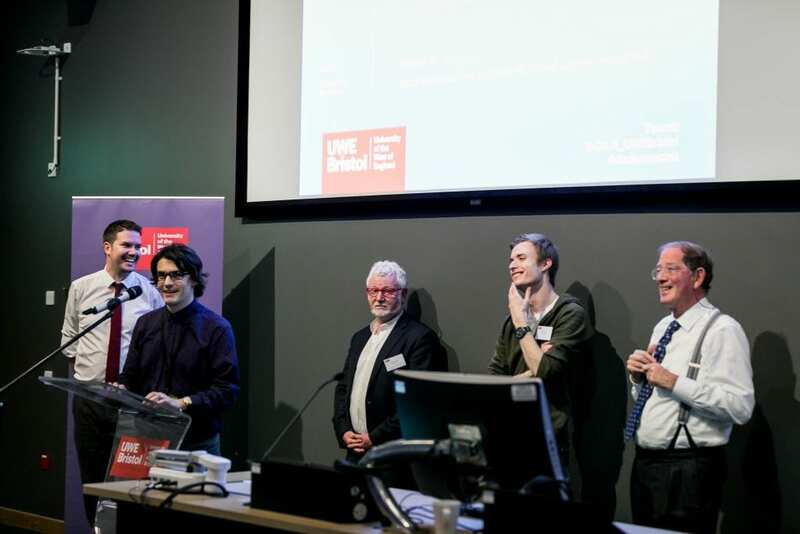 When I was a student at UWE I could only dream about winning this and it is a testament to the education received there and the people I have subsequently been lucky enough to work with,” he added. The solicitor studied for a law degree at UWE Bristol, graduating in 2006. He later went on to work in London for the human rights organisation Reprieve to help release British detainees from Guantanamo prison. While at the organisation, he was involved in the case that led to the release of Binyam Mohamed, who was freed from the jail and returned to the UK in 2009. Naik now works on cases that protect individuals’ data rights. These have included helping a client access their data on Tinder, which revealed 800 pages of information including photos, online chats, education among other data. The lawyer and his team are also representing an individual on the case that has brought Cambridge Analytica to task about a large quantity of data, which it is accused of harvesting from Facebook profiles and using for political purposes. He is also the lead lawyer against Facebook for the related breach. The award was presented at the Law Society Excellence Awards in London on 18 October by news presenter Mishal Husain and Law Society President Christina Blacklaws. Student blog post: Can the events that happened during the Maydan protests in Ukraine be qualified as crimes against humanity? November 2013: President Yanukovych announces that Ukraine will not be signing the European Association Agreement. Within a couple of days the situation gets out of hand. The question however is: are the acts committed enough to qualify as crimes against humanity under the International Criminal Court (ICC) Statute? In my opinion, they are. After President Yanukovych’s decision went public, peaceful protests started in the capital Kiev. 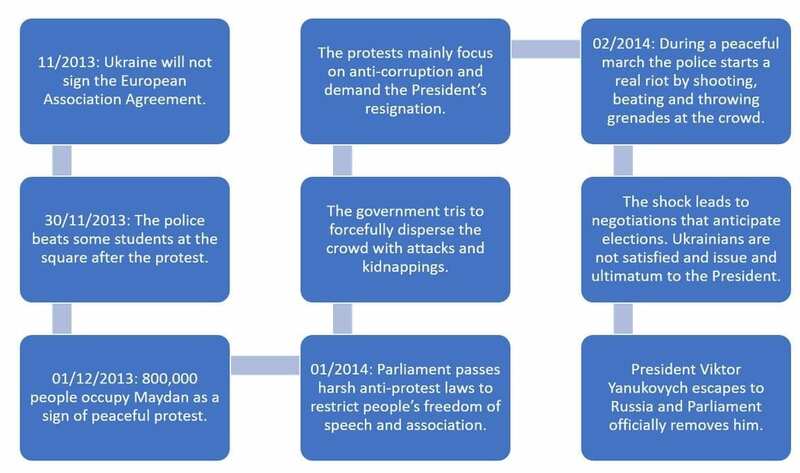 The facts are briefly outlined in the diagram I have made below (Euromaidan Press for details). Although not a party to the Rome Statute, Ukraine accepted the jurisdiction of the ICC by a declaration under Article 12(3).The prosecutor however chose not to continue the investigations on the basis that neither the widespread nor the systematic requirements were present (see I Marchuk, ‘No Crimes Against Humanity During the Maydan Protests in Ukraine? Or the ICC’s Prosecutor Flawed interpretation of Crimes Against Humanity?’ (2017) 35 Boston U Int’l LJ 50-55). The concept of crimes against humanity is outlined in Article 7 of the Rome Statute. Its chapeau contains two elements: the acts must be widespread or systematic and directed against a civilian population (see video for details). In addition, both an actus reus and a mens rea must be identified. The actus reus consists of acts of serious violence listed under Article 7(1)(a)-(k). The mens rea requires knowledge of the attacks on the civilian population, and the awareness that the acts constitute part of the attacks (ICTY, Prosecutor v Kunarac, para 99). Let’s first look at the chapeau and whether it is fulfilled in relation to the events that took place during the Maydan protests. A civilian population comprises any person who is not a member of the armed forces (Article 50(1) of Additional Protocol I to the Geneva Conventions). A person ceases to be a civilian when he/she takes a direct part in the hostilities which is defined as the ‘(collective) resort by the parties to the conflict to means and methods of injuring the enemy’ (Interpretative Guidance on the Notion of Direct Participation in the Hostilities 43). In this case, however, the Maydan protests were performed peacefully and without weapons, therefore the individuals can be classed as civilians. As the test for widespread or systematic is a disjunctive test (ICC, Situation in the Republic of Kenya, ICC, para 94), I will therefore only examine the requirement for systematic attacks. This concept was defined in Prosecutor v Katanga (ICC, para 394) and Prosecutor v Gbagbo (ICC, para 223) which referred to ‘the organised nature of the acts of violence and the improbability of their random occurrence’. The acts were frequent between December 2013 and February 2014 and they followed a clear scheme; there was an escalation in the choice of the different methods of violence: the beatings, the kidnappings, restrictive anti-protest laws, and finally the use of snipers and grenades. The pattern is, I believe, clear, and the acts were premeditated and planned as mentioned in Prosecutor v Akayesu (ICTR, para 580), which shows that the mens rea for the act was also present. Furthermore, it should be noted that the fact that they might have been committed for the President’s personal ends is irrelevant (ICTY, Prosecutor v Kunarac, para 103). The specific crime concerned in this case in my opinion is persecution (Article 7(1)(h) Rome Statute). This entails three further requirements to the ‘chapeau’ of crimes against humanity. These include: ‘severe deprivation of fundamental rights contrary to international law (Commentary Rome Statute), on the basis of political, […] religious grounds or gender, and in connection with any act referred to in article 7(1)’. With regards to fundamental rights being violated on the basis of discriminatory grounds, I believe there was a breach of Articles 7 and 10 of the ECHR in conjunction with article 14. Article 7 states that there shall be ‘no punishment without the law’. In this case the Maydan protesters were unlawfully arrested for charges with a higher penalty than the one applicable before the anti-protest laws. Article 10 refers to people’s freedom of expression which was clearly violated as the anti-protest laws cannot be viewed as falling within any of the lawful grounds for restrictions listed in the Convention (such as territorial integrity and prevention of crime). Finally, Article 14 regards discrimination on the basis of any ground such as ‘ethnicity, religion, political or other opinions […]’. The facts clearly suggest that the Ukrainian protesters were discriminated against because of their political ideas. Therefore both the first and second requirement for persecution are satisfied. Finally, the acts must have been committed in connection to other acts enumerated in Article 7(1) of the ICC Statute. As Zimmermann explains, ‘[e]ven isolated acts […] will, if committed in connection with widespread or systematic acts of persecution, render those acts […] crimes against humanity’ (A Zimmermann, ‘Implementing the Statute of the International Criminal Court: The German Example’ in LC Vohrah et al (eds), Man’s Inhumanity to Man: Essays on International law in Honour of Antonio Cassese (Kluwer 2003) 977, 984). In my opinion it is therefore quite evident, based on the facts, that the beatings, kidnappings, shootings and anti-protest laws were aimed at intimidating and mistreating the population in order to force them to stop the protests. Therefore, I argue that there are no doubts as to the nature of the crimes committed during the Maydan protests: they were crimes against humanity. Unfortunately, there has been a lack of interest in the application of international criminal law in this matter. Student blog post: To which extent is it possible to include cultural genocide in the definition of genocide as stated in the ICC Statute? In this blog post I am addressing the highly topical issue of ‘cultural genocide’ and its potential inclusion in the definition of genocide. Whilst there is no legal definition of cultural genocide, we can still consider it as falling within the definition of genocide as stated in Article 6 of the ICC Statute. Several definitions of cultural genocide have been propounded by academics, one being a ‘purposeful weakening and ultimate destruction of cultural values and practices of feared out groups’ (pp 18-19). I believe that cultural genocide is present in many situations such as Darfur. This blog post argues that it is possible to include cultural genocide in the definition of genocide. The work of Lemkin who coined the term genocide supports my view as in his broad definition he included cultural genocide alongside physical and biological genocide. He believed that physical genocide and cultural genocide were ‘one process that could be accomplished through a variety of means’ (D Short, ‘Cultural Genocide and Indigenous Peoples: A Sociological Approach’ (2010) 14 IJHR 833, 835), whether through mass killings or coordinated actions aimed at destroying essential foundations of group life. The resulting definition in the ICC Statute is far from what Lemkin envisioned as still today cultural genocide is unrecognised legally. The travaux préparatoires of the Genocide Convention included a section on cultural genocide which was then excluded from the final version even though it had been deemed a serious human rights violation and thought to be a stand-alone crime. It is this version, that of the Genocide Convention, that was adopted in the ICC Statute. Political factors had played a part in the exclusion of cultural genocide as the United States were against formulating criteria relating to cultural genocide given their historical relationships with indigenous peoples (L Kingston, ‘The Destruction of Identity: Cultural Genocide and Indigenous Peoples’ (2015) 14 Journal of Human Rights 63, 65). So, ‘[t]he wording of the Convention was shaped … not to criminalize their own behaviour’ (C Powell, ‘What do Genocides Kill? A Relational Conception of Genocide’ (2007) 9 Journal of Genocide Research 527, 532). The example of what has happened to some indigenous groups in North America such as the Winnemem Wintu (see article by Kingston) substantiates my view that cultural genocide should fit within the definition of genocide. Cultural genocide affects these tribes as their culture and identity are stripped away over time and destroyed, though they may not suffer physical harm. The Winnemem Wintu are federally unrecognized (Kingston, p 70) by the US government and so are unprotected. 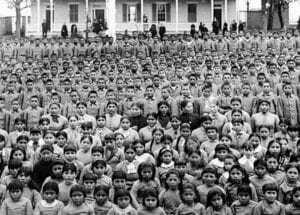 Of the 14,000 Winnemem Wintu people only 123 remain (Kingston, p 70). They have continually lost land from the 1800s onwards (Kingston, p 70) and their cultural life as they know it is being decimated in front of their eyes. Their very means of life have been restricted through fishing bans, using plants for medicine and loss of ceremonial grounds (Kingston, p 70). The definition of genocide clearly does not safeguard indigenous people even though the loss of culture to them is just as devastating as loss of life (Kingston, p 72; see also this video). The UN Declaration of Rights for Indigenous People offers protection now, but it has taken over 60 years to reach this point and in that time indigenous people suffered detrimentally. I argue that culture can be seen as a fundamental human right. Yet, although this shows progress with regard to cultural issues, in no way does it criminalize the behaviour against indigenous people which means that there is still no international platform to criminalize cultural genocide. 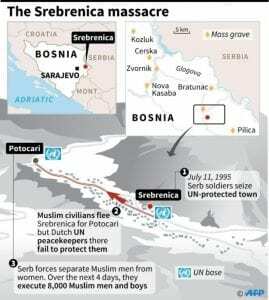 A case which reaffirms my opinion is Prosecutor v Krstic as it dealt with the genocide of Muslim men and boys in the safe area of Srebrenica (see video). It is interesting to note that the ICTY opened the discussion of cultural genocide stating that ‘[t]he destruction of culture may serve evidentially to confirm an intent, to be gathered from other circumstances, to destroy the group, as such’ (para 53). So, it is taken that cultural destruction satisfies the test of dolus specialis needed to fulfil the mens rea of genocide. Judge Shahabuddeen dissenting acknowledged, ‘it is not convincing to say that the destruction, though effectively obliterating the group, is not genocide because the obliteration was not physical or biological’ (para 50). So, referring back to the Winnemem Wintu, although they have not physically or biologically suffered, it does not mean that they have not suffered through other means. The Winnemem Wintu have suffered through losing their culture due to the construction of a dam on their historic and sacred land. This undoubtedly reinforces the claim that cultural genocide can be recognised via case-law despite not being expressly included in the statute of an international criminal tribunal. Overall, I truly support the idea that it is possible for cultural genocide to be included in the definition of genocide as stipulated in the ICC Statute. 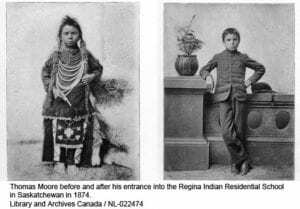 As discussed, originally, a much broader definition of genocide was drawn up that included cultural genocide; however, this was excluded, thereby leaving indigenous people unprotected for decades. This has had a knock-on effect in the case law which, although making obvious references to cultural issues in relation to genocide, does not recognise ‘cultural genocide’ as a crime as such. Student blog post: In light of the article by Melissa Bellitto, ‘The World Bank, Capabilities, and Human Rights: A New Vision for Girls’ Education beyond’ (2015) Florida Journal of International Law 91 discuss the role of the World Bank as a funder of education. This blog post examines the role of the World Bank as a funder of education. Defined as an international organisation that helps emerging market countries to reduce poverty and promote prosperity, the World Bank is part of the World Bank Group, which is a family of five international organisations, and is composed of the International Bank for Reconstruction and Development and the International Development Association. The World Bank funds a variety of projects notably relating to education by providing loans in developing countries. 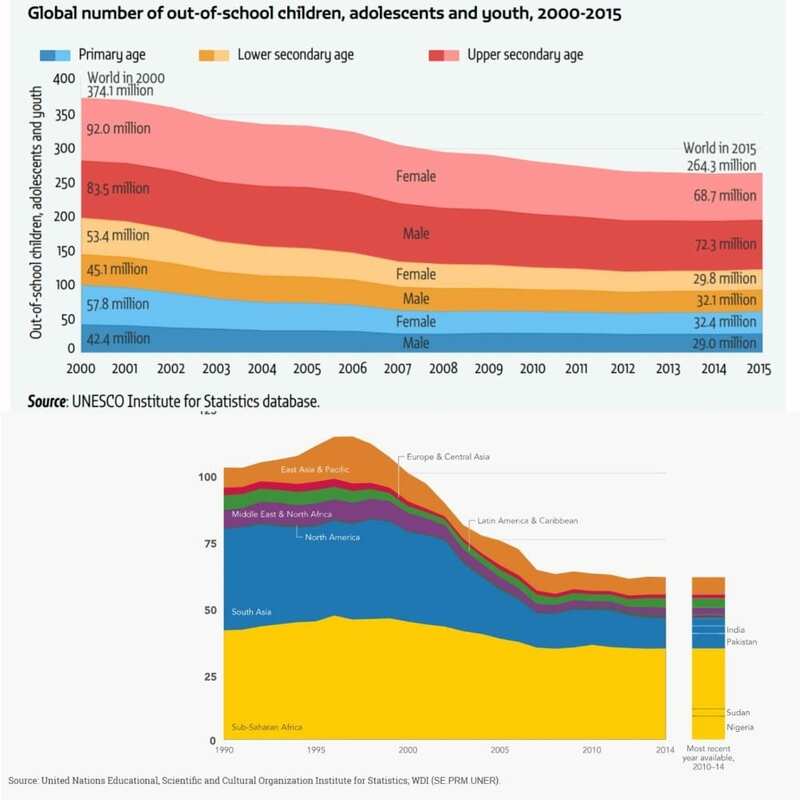 It has been involved in education since 1962, thus being the largest international funder of education for development in low-income countries and supporting them with $3 billion a year. Overall, the World Bank has funded 2512 education projects. In this blog post I will first discuss the issue of gender inequality and then discuss education in the broader framework of human rights as I believe that the World Bank’s important role in supporting education should be more human rights focused. The Convention on the Elimination of Discrimination Against Women is the key international legal instrument that seeks to eliminate all forms of discrimination against women. In spite of its existence, girls (M Bellitto, ‘The World Bank, Capabilities, and Human Rights: A New Vision for Girls’ Education Beyond 2015’ (2015) 27 Florida Journal of International Law 91) are the most affected by education inequality as a large majority does not have access to education owing to cultural and social barriers (M Nussbaum, ‘Women’s Education: A Global Challenge’ (2004) 29 Signs: Journal of Women in Culture and Society 332). It is submitted that if girls could access education, they would better tackle issues such as medical care and contribute to the economy of the State, which is the aim of the World Bank (Bellitto at 101). Scholars such as Nussbaum and Sen have criticised the fact that women are treated as economic commodities and that their worth is based on their ability to contribute to the formal economy (see discussion in Bellitto at 95). The best way to deal with this problem is to implement anti-discriminatory laws that eradicate discrimination, a good illustration being India that has adopted a rights based approach in primary education. The World Bank, UNESCO and the Global Partnership for Education are focused on improving gender equality and empowering girls and women through quality education. To attain these goals, projects such as The Education 2030 Framework for Action (FFA) aims to achieve greater results by 2030. Some of their goals are to train more teachers, to support gender equality and improve the quality of teaching. In this light it is argued that educational planning could be a good approach to take into account and tackle all factors affecting education. From my point of view, the World Bank and the State should work together to overcome social and cultural barriers affecting gender inequality in education. Undoubtedly, there has been a marked improvement in providing education and achieve gender equality. That being said, I could also argue that the approach the World Bank is adopting towards education is more economic than human rights based as primary education is supposed to be free and accessible to everyone. If access to education depends on one’s ability to pay for it then the human rights to education is violated. Moreover, it should be stressed that education is a necessity for the economic growth and development of these countries. On the one hand the World Bank provides these developing countries with funding to improve their economy but on the other, it takes away their financial independence and obliges them to violate human rights law by complying with conditions such as the privatisation of schools. Consequently, the implementation of a monitoring body independent from the World Bank is essential to improve its functioning and ensure that all its actions comply with human rights law. A summary of this blog post in the form of a Prezi presentation is available here. Law students from Bristol Law School have helped inmates and wardens in prisons in Kenya to study for a law degree, by giving them access to course materials and providing legal tuition through a volunteer project over the summer. Several students from UWE Bristol worked with the three biggest high-security correctional institutions in Kenya through the African Prisons Project (APP), a charity that gives inmates and prison officers the chance to study for a law degree through the University of London. Twenty-five students (19 first years and six second and third years) first spent several months meticulously resourcing and downloading legal materials from the Westlaw and Lexis libraries, with the help of the faculty librarian. They then sent these over to the men’s (but also some women’s) prisons to help the African students, given that most of the institutions do not have access to the internet. This provided the students with valuable reading materials they would otherwise not have been able to access, and led to them gaining higher marks in their final examinations. 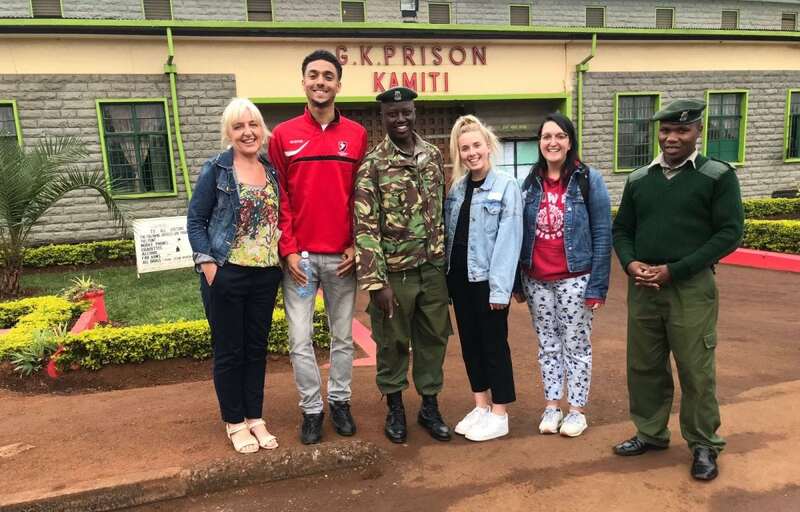 Starting in July, five UWE Bristol law students then travelled to Kenya for four to 10 weeks, where they taught a foundation course for those inmates and prison officials looking to start the law degree. Kathy Brown, who is senior lecturer in UWE Bristol’s department of law and who overseas student participation in APP, said: “Studying for a law degree has enabled the prisoners to gain a higher level of education, act as paralegals for other inmates and represent themselves in court. Many of them are given extreme sentences for relatively small crimes, such as being given death penalty for aggravated burglary, and are on remand for several years. In September former inmate Morris Kaberia was released from Kamiti high security prison, when his sentence was quashed after serving 13 years. Fellow inmates formed part of the legal team that prepared court documents and these helped him to defend himself successfully in court. During his second appeal, the court found that Kaberia’s rights at the original trial had been violated and ruled against both his sentence and conviction. Although a free man, Kaberia still regularly attends Kamiti, one of the prisons UWE Bristol’s volunteers work with, to finish the final year of his law degree. Brown said: “It used to be notoriously violent and dangerous, but it isn’t anymore and I think the culture of education has made it a place of learning. The five students who travelled to the East African country were selected based on their motivation, rather than on academic achievements so far on their law degree programme. UWE Bristol sponsored the trip by paying for expenses. “This was about giving students that would otherwise never have done these things, a chance to shine,” explained Brown. So far, through the APP scheme, which also works in Uganda, three inmates have graduated with the LLB law degree in Uganda and two in Kenya. Eight more are set to graduate in October. Student blog post: With Reference to the Case-Law of the European Convention on Human Rights Do Prisoners Have the Right to Vote and, if yes, to which Extent? The right to vote has always been a hot topic. In fact, fights to achieve universal suffrage have been here for centuries, and still continue today. Even though the right to vote is one of the basic principles of democratic society and the strongest ‘say’ the citizen can have as well as one of the fundamental human rights encapsulated in Article 25 of the International Covenant on Civil and Political Rights (ICCPR) there are still many ambiguities over potential restrictions to this right. The current law in the United Kingdom denies the right to vote to prisoners while incarcerated (People Act 1983, part 1 section 3). However, according to Hirst, a case decided by the European Court of Human Rights, the denial of right to vote for prisoners falls outside the given margin of appreciation as the automatic ‘blanket ban‘ contradicts the very essence of this right. In this video Mr Hirst, convicted of murder, argues in favour of prisoners’ right to vote as a basic human right. First, we must understand that the right to vote is not only a basic aspect of citizenship but also viewed as the ‘core principle’ (L Beckman ‘The Right to Democracy and the Human Right to Vote: The Instrumental Argument Rejected’ (2014) 13 Journal of Human Rights 381) of the democratic system (Watch this video which explains why a voting right for everyone is so important in a democratic society.) In order to ensure effective democracy within the State the basic human rights of every citizen (Scoppola v Italy, para 51) must be preserved and this without discrimination or unreasonable restrictions incompatible with the terms of the ECHR (Hirst v UK (paras 27 and 41)). Moreover, everyone’s right to participate in voting is implied in Article 21 of the 1948 Universal Declaration of Human Rights and more explicitly outlined in Article 25 of the ICCPR where the right to vote is established as a binding norm of international law. Further Article 3 of Protocol 1 to the ECHR states that the right to vote is not only the key aspect of effective political democracy but also an important element of the Convention system (Mathieu-Mohin and Clerfayt v Belgium, para 47). Therefore the exclusion of prisoners from the right to vote must be reconcilable with the purposes of Article 3 of Protocol 1 (Hirst v UK (No. 2), para 62). However, in my opinion, the UK has departed from this fundamental norm as it has prevented prisoners from exercising this basic right and so has fully blocked their access to the democratic system. In the case of Hirst v UK it was held that a blanket ban on prisoners’ right to vote under s. 3(1) of the 1983 Act is not compatible with Article 3 of Protocol 1. Even though the States are endowed with a wide margin of appreciation and the rights under Article 3 are not absolute, the automatic ban falls outside these margins (Hirst No 2, para 82) as it is not proportionate (Scoppola, paras 93-102; Hirst No 2, paras 76-85) (see also Sauvé v Canada (Supreme Court of Canada), paras 37 and 54-62). The first argument that the UK submitted to the European Court of Human Rights was that as prisoners had breached a social contract, they lacked moral virtue and therefore did not deserve this right. The second ground of the government’s reasoning was that this restriction was a punishment which helped enhancing civic responsibility (Hirst No 2, para 50). The ECHR rejected the UK arguments. Firstly, it argued that the lack of moral virtue is contradictory to the fact that the State requires prisoners to fulfill other civic duties. Moreover the ECHR emphasized that the right to vote is a right and not a privilege (see also Sauvé, paras 14, 19-24 and 37; Hirst No 2, paras 59 and 75) which you deserve through a good moral virtue. Secondly, it was held that incarceration per se is not a reasonable justification for violating fundamental rights. Whilst the ECHR to some extent approved the idea of a voting ban being understood as a punishment (Hirst No 2, paras 74-75, see also Dikson v United Kingdom) it however stressed that any such restriction needed to have a clear link between the punishment and the restriction (see Hirst No 2, Joint Dissenting Opinion of Judges Wildhaber, Costa, Lorenzen, Kovler and Jebens, para 8 and Dissenting Opinion of Judge Costa, para 3). Yet, there was no such evidence that the UK had even thought about the link to the offense (see discussion by Weston) or any other justification of the punishment. In contrast the UK applied the automatic ban to every prisoner. The UK reasoning was not objective at any point and therefore I agree that the ban contradicts the very essence of the universal suffrage (see Mathieu-Mohin, para 52). In my opinion the reasoning of the European Court of Human Rights in Hirst was correct as the UK’s justification for the ban was discriminatory and not legally tenable. In this light I think that the UK should carry out debates and amend the current legislation so that the restriction of the right to vote is possible to some extent at least. Furthermore I believe that enfranchisement will help prisoners in their rehabilitation.